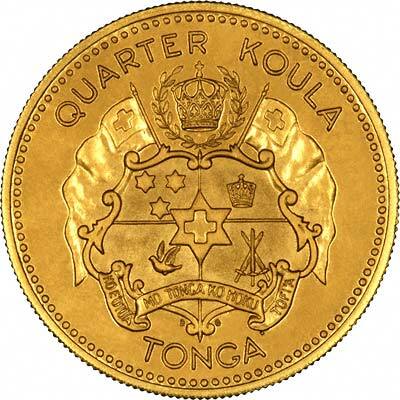 Tonga only started to issue its own coins in 1962 denominated in pounds, but with 16 koulas to the pound, and in 1967 it decimalised. There are now 100 senti = 1 Pa'Anga, and 100 Pa'anga = 1 Hau, therefore 10,000 senti = 1 Hau. 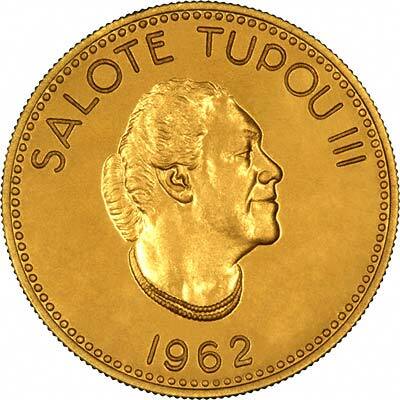 In 1967, Tonga achieved a world's first by issuing the first ever palladium coins for the coronation of King Taufa Ahau Tupou IV. 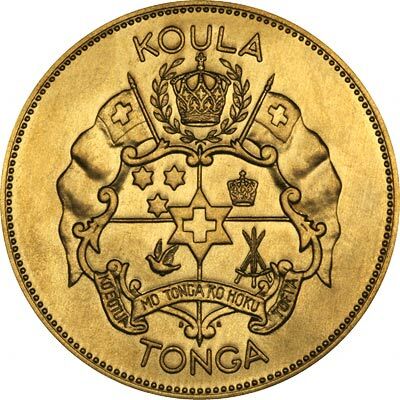 Tonga's first coins were issued in 1962. These were gold coins, one of which is shown here. They are denominated in Koula, and are the only coins to ever use this denomination. In 1967, Tonga decimalised its coinage system, which was then denominated in pa'anga, each of which is subdivided into 100 seniti (cents). The 1962 coins have the coat of arms of Tonga on their obverse, with their denominational value above, and the word TONGA below. 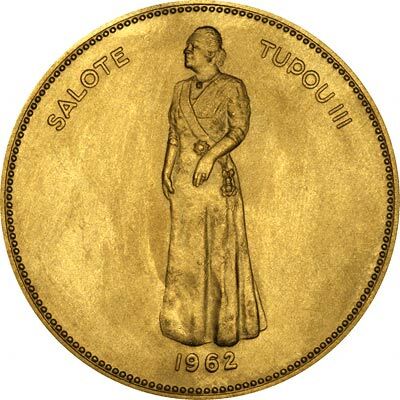 The reverse shows a remarkably slim portrait of Queen Salote standing right. Sources state that she was very tall at 1.91 metres or 6'3". Her son Taufa Ahau Tupou IV weighed over 200 kilos, apparently a world record for any monarch. For silver and base metal coins of Tonga, please look at our original Chard Coins website. We make an active market in almost all world coins, gold or otherwise, including Tongan gold coins, whether listed on this page or not. If you have any of these coins to sell, please contact us, or post them to us for appraisal and offer.